WAG NL is a non-profit organisation. 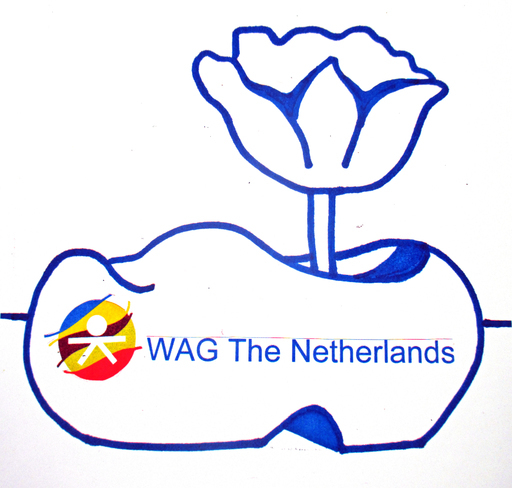 www.wagnetherlands.org. Peter Weisz, Co-President of WAG. www.wagames.org. Jasminka Paunoviae, Co-President of WAG. www.wagames.org. Bikkel, WAG Netherlands President. www.wagnetherlands.org. PROJECT IDEAS: To interconnect creative artists from all artistic disciplines on a network, in order to organize the art competition every two years. The event will be permanent and would traditionally be held in the partner cities of WAG Association. PROJECT MISSION: To build a worldwide network of National Committee of WAG (NC). • The NC Network will globally promote the culture. Through its activity every two years in the partner cities of the WAG the competing event will be prepared. The national culture and creativity teams compete simultaneously in the same area and through friendly relations and presentation of their traditions and cultural heritage – the idea of peace and tolerance will be developed - which historically has always been the idea of Olympism. • All States can participate on the WAG regardless of race, religion, or political commitment.